A lot of my clients ask for tips about how to get through security easily. I am, after all, a savvy DC car service chauffeur, and I know a thing or two about getting around. It’s not exactly a breeze to get through security at DC airports. Even when everything goes as planned, moving smoothly as an assembly line at a butter factory, it’s annoying to have to take things out of bags and take off articles of clothing. But that doesn’t mean it has to be a hassle to get through security. You know the rule about liquids and gels: 3 oz or less per container, and it all has to fit in a 1-quart plastic zip bag. But we’re going beyond the bag, to get through security even faster. Pack an organized suitcase. Yes, your stuff will be a mess if the DC TSA decides to rummage through your luggage. But it’ll take a lot longer to get through security if they have to rummage through a big mess in the first place. Pack your electronics and undeveloped film in your carry-on bag. If you’re bringing gifts for someone, don’t wrap them. The TSA will happily undo even your prettiest bow. Don’t wear jewelry if you don’t have to. Pack it in your carry-on. Have your boarding pass and ID ready. Once your ID has been checked, put it back in your wallet. It’s better to tuck it away now than to have it floating around from pocket to pocket while you get through security. Start taking off clothes, removing jewelry, and untying shoes when there are about five people between you and the security belt. Put your shoes directly on the security belt. They don’t need their own bin. Your carry-on bag doesn’t need its own bin, either. Position it lengthwise on the belt, so it’ll pass easily through the machine. Take out your quart-sized bag of liquids, and put that in a bin. Put your laptop, and other large electronics, in a bin, too. Your cell phone and smaller items can stay in your bag. If you wore a coat or jacket, put that in its own bin. If you have a prosthetic and can’t remove your shoes, tell a TSA agent. They’ll do a visual inspection. Be aware of what you aren’t allowed to bring. Then don’t try to bring that stuff. If you have a small living being in a carrier, like a baby or a Yorkie, they’ll have to get through security, too. Remove them from their carrier before you get to the security belt. Collapse your stroller if you can. The carrier goes on the security belt, and you can hold your baby or furry friend. It’s fastest to just go through the Advanced Imaging Technology machine, but if you’d rather not, tell the TSA agent stationed at the machine. Telling one before you get there sounds like it would save time, but you’ll most likely just be asked to tell the agent at the machine itself. And finally . . . don’t say anything stupid. (This is the most difficult part of getting through security for some people.) Bomb jokes at the DC airport don’t go over well. And don’t get all annoyed and huffy at the TSA, either. Trust me—you don’t want the TSA to make you feel special. 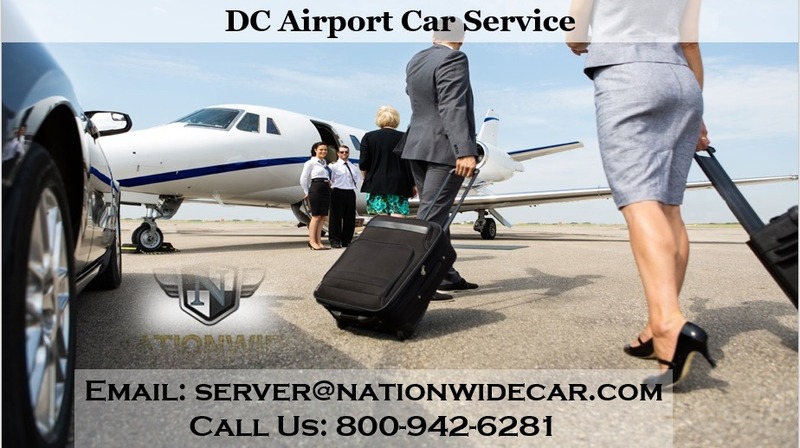 That’s a job for your DC car service.